For over 25 years, Boys & Girls Clubs have proudly served American Indian, Alaska Native, Native Hawaiian, and American Samoan youth. The first Boys & Girls Clubs in Indian Country were established by Boys & Girls Clubs of America (BGCA) in 1992. Native Clubs uphold BGCA’s mission to enable all people, especially those who need us most, to reach their full potential as productive, caring, responsible citizens. 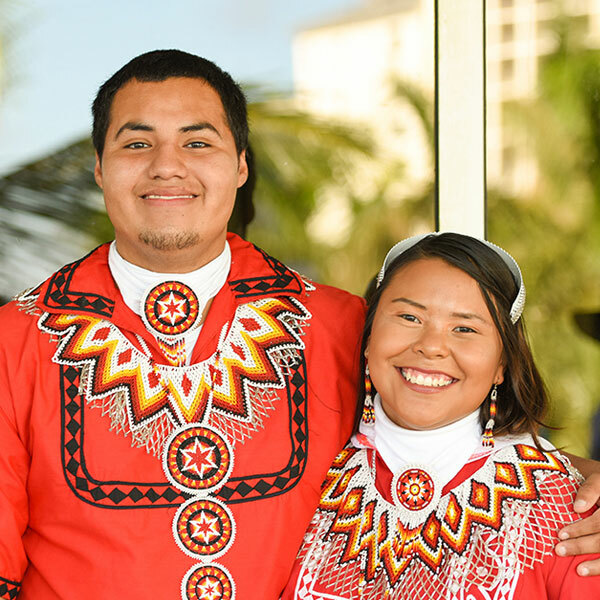 These Clubs offer opportunities to provide Native youth with ongoing relationships with caring adult professionals, a safe place to learn and grow, life-enhancing programs, character development experiences and, most of all, hope and opportunity. Native Clubs strengthen their youth’s cultural identity through programming that explicitly promotes positive youth growth and development along critical cultural, social, emotional, intellectual, and physical dimensions through viable and sustainable organizations. BGCA Native Services is a dedicated group of leaders that works tirelessly to provide culturally relevant support to Boys & Girls Clubs on Native Lands. They are committed to addressing the challenges and issues unique to Native communities while celebrating their unique strengths.